From March 2011 to April 2012, I was Writer-in-Residence for the huge Lottery-funded Watershed Landscape Project in the South Pennines. I worked with people from both sides of the Pennines - ie bringing together Red Rosers and White Rosers... and they never fought at all! I pulled together teenage skateboarders; ladies in Sheltered Housing; Asian women's textile groups; quilters from Saddleworth; deaf children from Bradford; writers from Oldham and Todmorden; Saddleworth Arts Festival; Hebden Bridge Arts Festival; Ilkley Literature Festival; walkers, fell-runners and mountain bikers; the RSPB Twite Recovery Project; Saddleworth Museum; and Cliffe Castle Museum!! It was brilliant fun taking diverse groups of people out onto the moors to fly kites, draw, sew, write and generally have a great time. 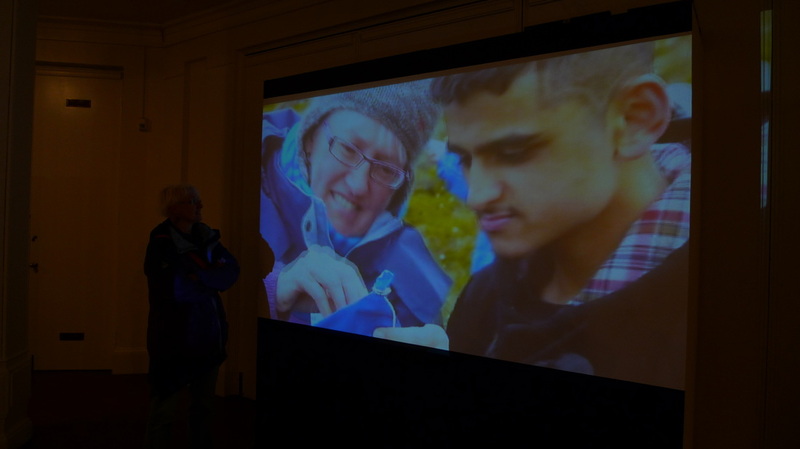 They produced gorgeous work and got inspired to learn more about the moors, and to take their friends and rellies up there too. 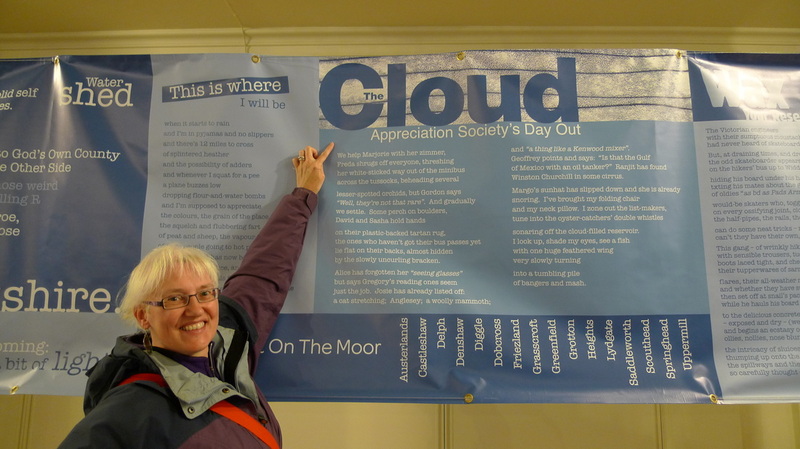 My poetry collection 'The Cloud Appreciation Society's Day Out' is a direct result of this residency, as was the fabby 3-month exhibition at Cliffe Castle.